2017 HOORAY FOR HORROR MONTH! 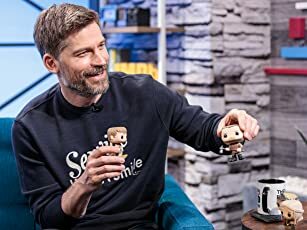 Mike travels through time and dimensions to find the Tall Man's origins. A social worker, still reeling from the loss of her architect husband, investigates the eccentric, psychedelic Wadsworth Family, consisting of a mother, two daughters, and an adult son with the apparent mental capacity of an infant. 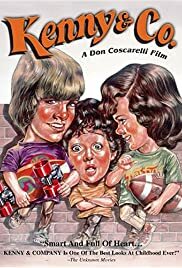 In the days leading up to Halloween in a Southern California suburb, 11-year-old Kenny and his best friend, Doug, play flag football, ride skateboards, get into mischief, and fend off the neighborhood bully, Johnny Hoffman. Ten-year-old Sherman, better known as "dumb ol' Sherman," lives across the street from Kenny and always tags along, making a nuisance of himself. Kenny falls in love with classmate Marcy, who spurns him, and he suffers the loss of Bob, his beloved but ailing dog. 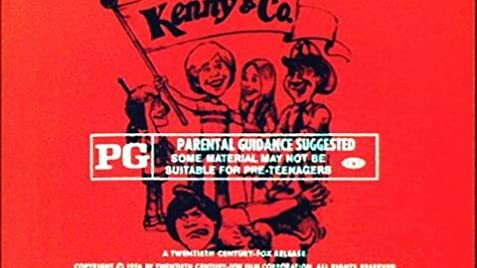 At school, Kenny interacts with his friendly wheelchair-bound teacher named Mr. Donovan, a foreign exchange student named Paco, and the class clown, Pudwell. As Halloween approaches, Kenny, Doug, and Sherman create their own crazy costumes, set off powerful firecrackers, go out unsupervised for trick-or-treating, and at the climax, pull a prank on a spooky old lady living in a haunted house. Written by Larry B.
I guess I'm one of the few people to see this film.. I saw it back in 1978 on HBO. I was 10 years old.. I watched it with my best childhood friend. I loved all the characters in this film. I was especially fond of Kenny's friend Doug. All of those kids reminded me so much of me and my friends in the 70's. I've hoped for a long time to find this movie on video or DVD. I've never seen another kids movie as GREAT! as this one. When I grew up and got married, I tried to copy the haunted garage scene when they were trick-or-treating. We were the hit of the neighborhood. Unfortunately my ex-husband was never able so see that COOL! movie to know what we were trying to copy, on those fun Halloween nights. I would HIGHLY! recommend this movie to anybody wanting to laugh, and feel great.